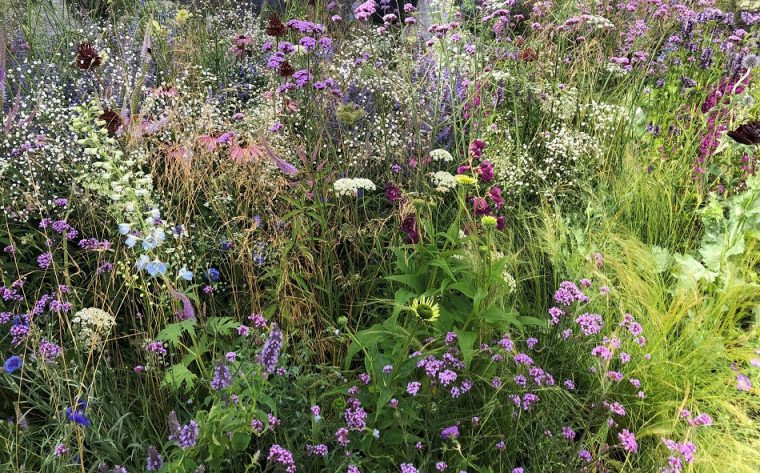 As a keen gardener and a member of the RHS, I love visiting flower shows. Close to where I live in Surrey, I’m a regular at both the Chelsea Flower Show and Hampton Court Flower Show. 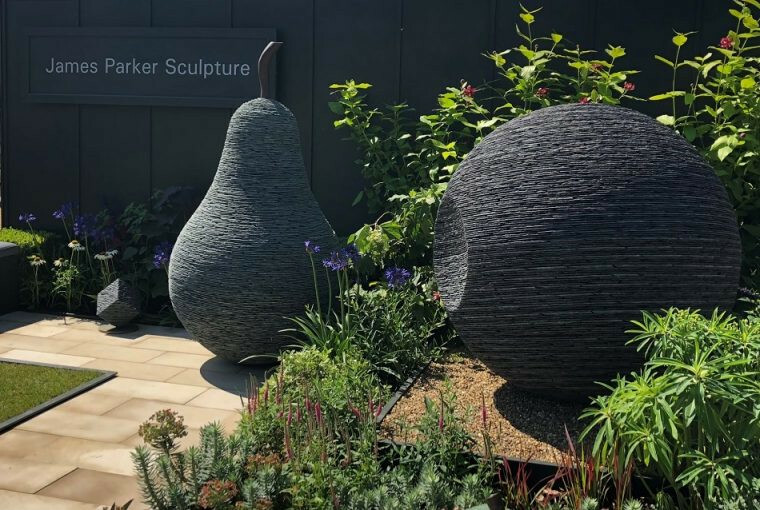 These shows offer a great day out, a chance to see show gardens, look at flower displays from plant nurseries across the UK and browse stalls where you can buy everything you need and more for gardening from plants to tools, furniture and gadgets. I always come away inspired by the plant combinations and often try new plants in my garden. So, I jumped at the chance to attend the Hampton Court Flower Show press day. 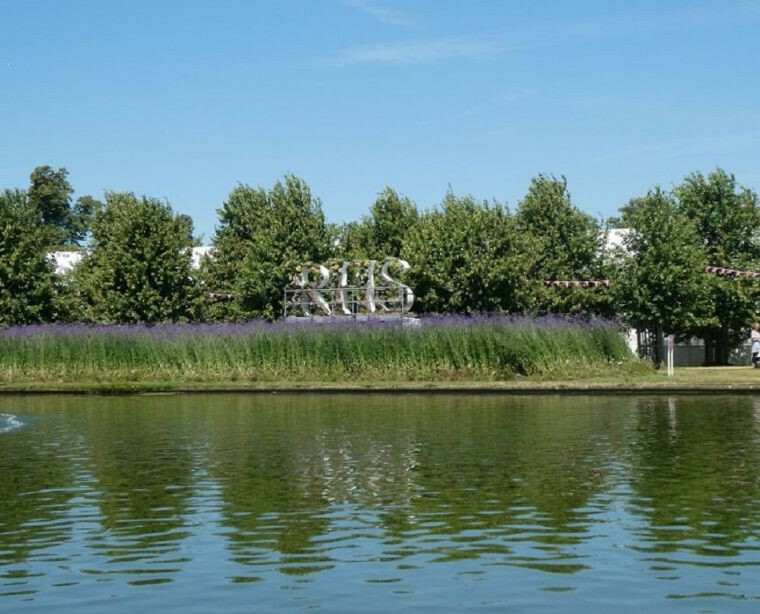 The RHS or Royal Horticultural Society is the leading organisation for horticultural in the UK with a vision to enrich people’s lives through plants as well as creating a greener and more beautiful country. As a nation we love gardening; it’s therapeutic and touches our souls. The RHS is at the forefront of research in horticultural science including research into plant diseases, storing seeds and trialling new plants. There are RHS gardens around the country, the best known in Wisley, Surrey just a few miles from home. 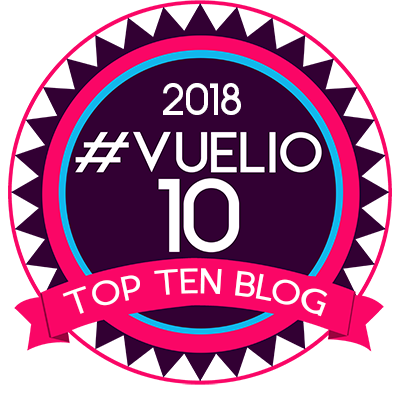 As a member of the RHS, I can visit the gardens at Wisley without paying and get tickets for the six flower shows, held around the country, at a reduced price. It was a beautiful, sunny, day when I arrived at Hampton Court Flower Show, the largest flower show in the world. It’s a stunning location, set in the extensive grounds of the historic Hampton Court Palace with the river Thames and palace as a backdrop. The show gardens are always a highlight, so they were top of my list of things to see. Leading garden designers work to a theme and build stunning gardens showcasing plants, structures and water features. The planning behind them and the actual building of the gardens on the site take months as everything has to be transported, erected and planted. The one with the most impact was The Children with Cancer UK Mr.Happy Mr Worry.Hill, awarded a silver medal. 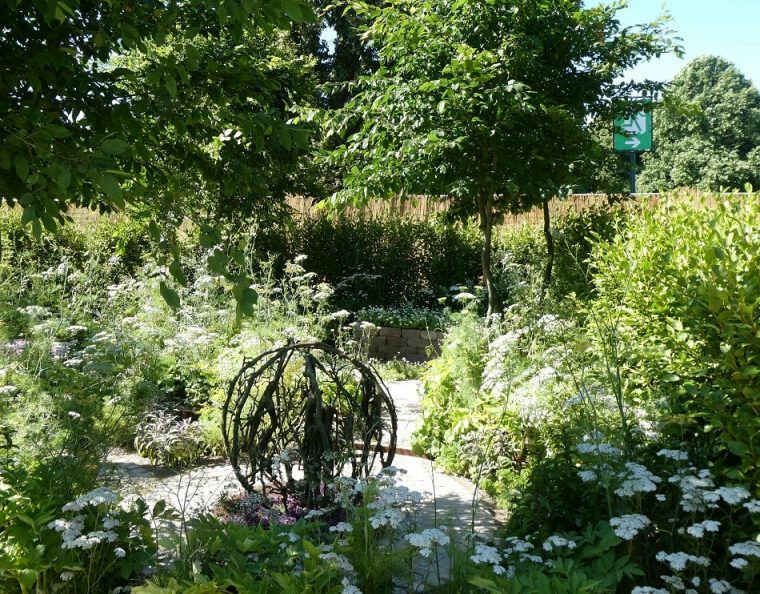 Designed by Emma Reed, the garden was built to portray the emotions experienced by children and their loved ones when cancer is diagnosed and when they are also on the way to recovery. 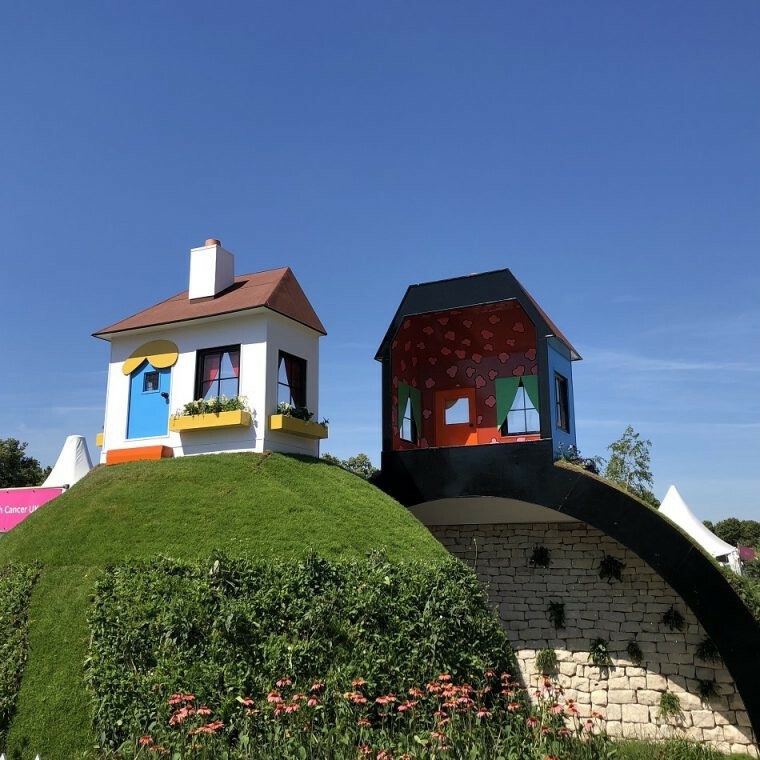 The hill is split into two to show the mix of emotions, the blue half of the house being the fears and worries felt, the yellow half representing the hope of recovery after treatment. 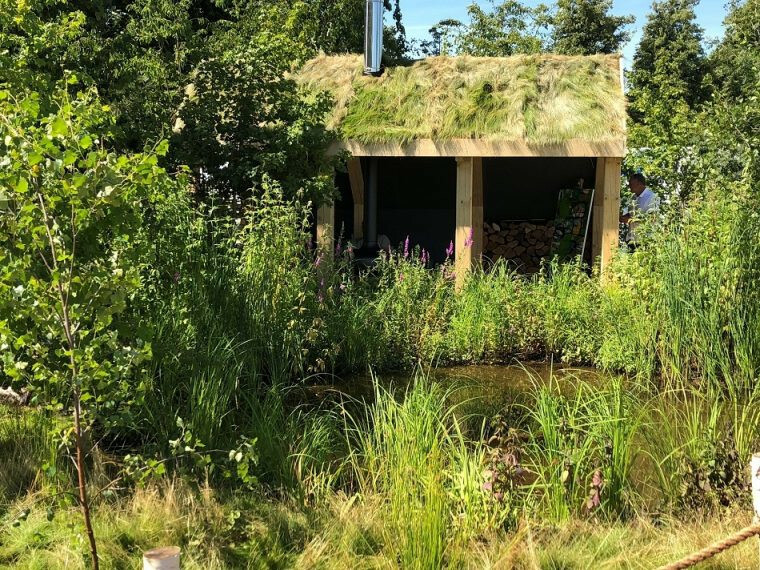 Another show garden with immediate impact was the B&Q Bursting Busy Lizzie Garden, winner of the best show garden, the best construction award and awarded a coveted gold medal. Designed by Matthew Childs this garden was vibrant with colour from the many Busy Lizzie plants – an outdoor space for relaxing and entertaining. Busy Lizzies have never been a real favourite of mine but this garden with the use of taller plants, as they would grow in their natural habitat, made me think again. My third favourite was the Health and Wellbeing Lifestyle Garden, designed by Alexandra Noble, winning a silver medal. Designed to encourage deep thinking, the planting was soft and subtle, a truly calm place for reflection. 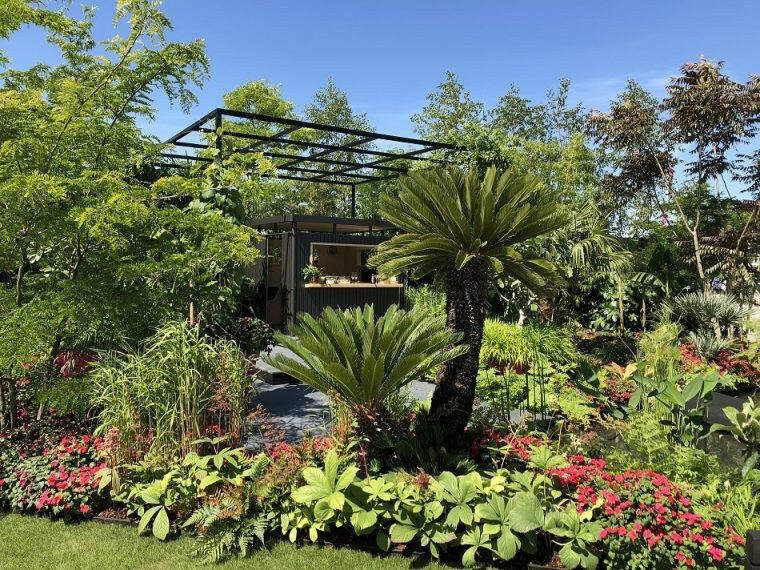 From the smaller, conceptional, gardens the one that really stood out for me was the Apeiron: The Dibond Garden, designed by Alex Rainford-Roberts, awarded a silver-gilt medal. On the outside was a rusted steel box, within a planting of beautiful meadow plants with mirrored walls creating light, space and movement. Apart from the show gardens, the flower tents are a definite must. 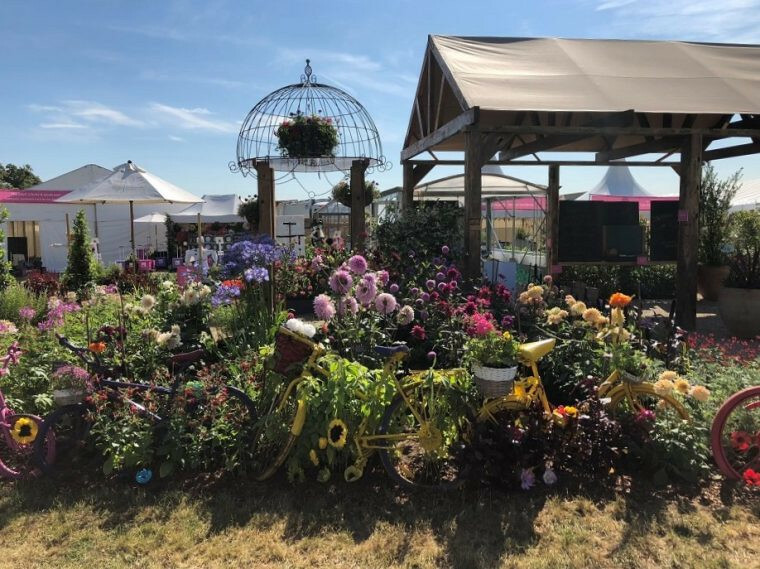 The large Floral Marquee showcases displays from nurseries and specialist plant growers, full of colour with scent pervading the air from the exhibits. 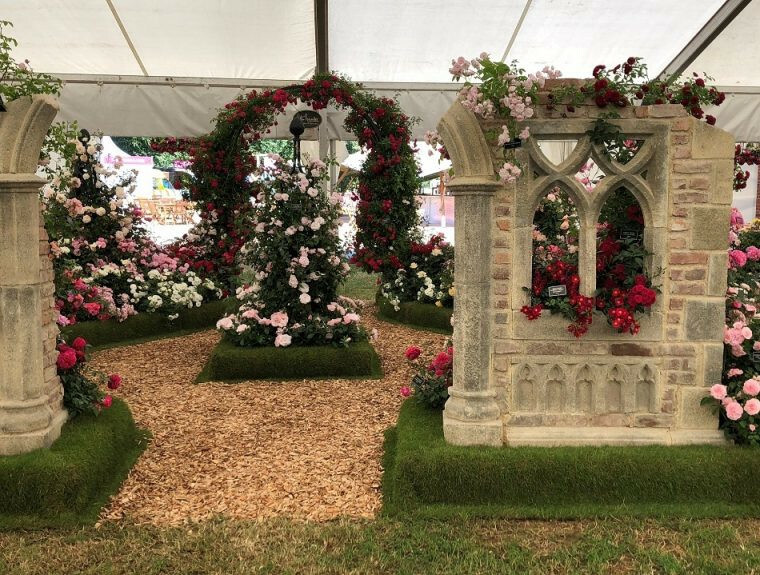 Another tent, The Festival of Roses, contains displays from leading rose suppliers. I do love roses and have some in my garden bought from Austin Roses, who had a stunning display. Austin Roses were awarded their 17th Hampton Court Gold by the show judges and I can see why. If you are looking for something that’s not gardening related there are food and drink sellers and stands where you can buy pictures. The Country Living Pavilion tent is filled with exhibitors selling clothes and jewellery. I really like to look at the sculptures, I love the idea of having something like this in my garden at some point. 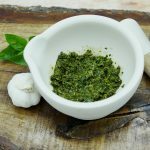 Most of the plant nurseries and growers bring plants to the show – it’s ideal as you can buy plants not usually stocked by general nurseries and get free advice on how to grow them in your garden. I have to stop myself from buying too many as they need to be carried home, though some are available to buy by mail order. On the last day of the show, the plants are sold off – a sure way to get a bargain. All in all Hampton Court Flower Show is a great day out. 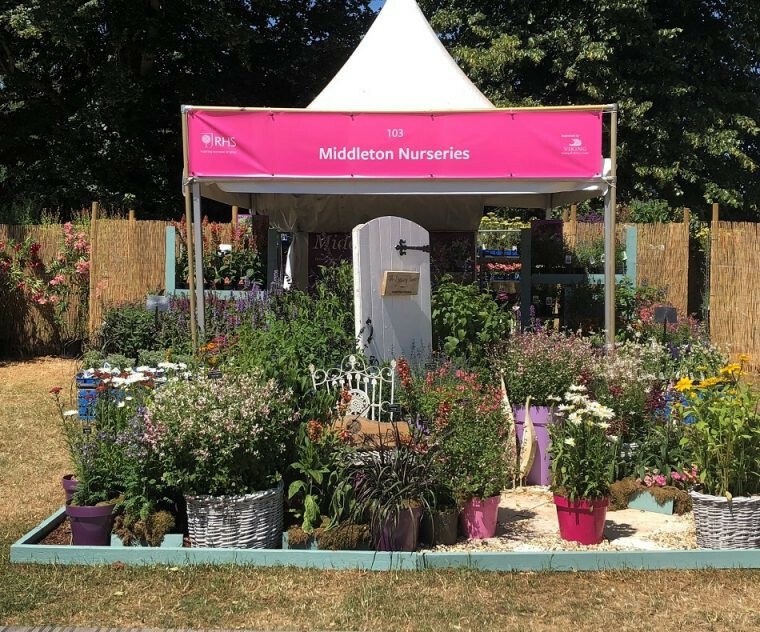 It’s a chance to view stunning show gardens, buy a huge variety of plants and other things and generally enjoy yourself soaking up the atmosphere. For more information on the RHS including the Hampton Court Flower Show, other flower shows and membership visit www.rhs.org.uk.